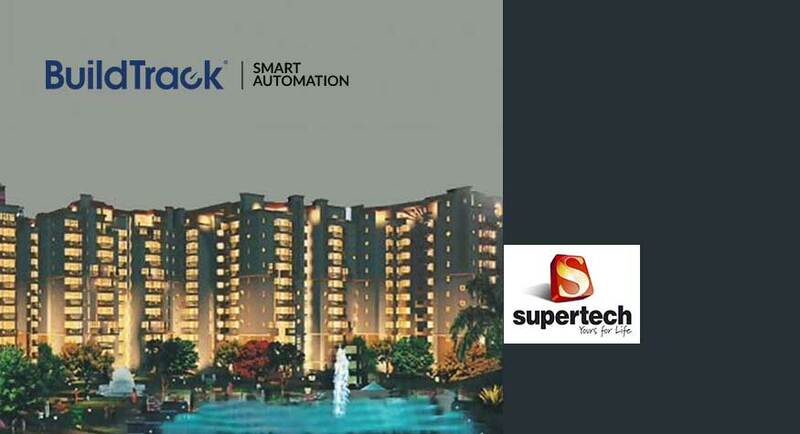 Supertech, a company that has successfully completed 20 years in real estate business has chosen the Surmount Energy to be its partner for BuildTrack Home Automation Solutions at its Emerald Court project located in Noida on Taj Expressway in Sector-93. Emerald Court is the largest project of the group till date and is a confluence of luxury, class and convenience. The home automation systems are geared to improve safety, security and conveniences offered within the flats. The automation is aimed at ensuring safety and security for the occupants of the apartment against fire, gas leak, home intrusions or emergency needs that arise. The BuildTrack™ brand of Home Automation solutions offered by Surmount communicates emergencies instantaneously via online, e-mail and SMS options to the owner or other authorized parties, thereby providing the ability to react quickly to them. The BuildTrack™ solution also offers conveniences such as video door phones and remote control switches for lighting and other purposes. BuildTrack Home Automation offered by Surmount Energy Solutions that are designed to meet the safety, security, comfort or convenience needs in a broad range of residential, commercial or retail facilities and buildings. Surmount Energy, a leader in Green Building Consulting and Automation Solutions operates at 20 000 sq. ft. LEED platinum certified facility, first in Navi Mumbai.